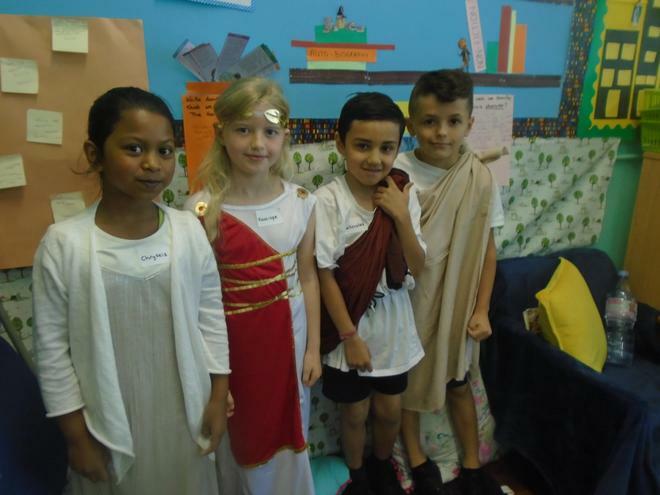 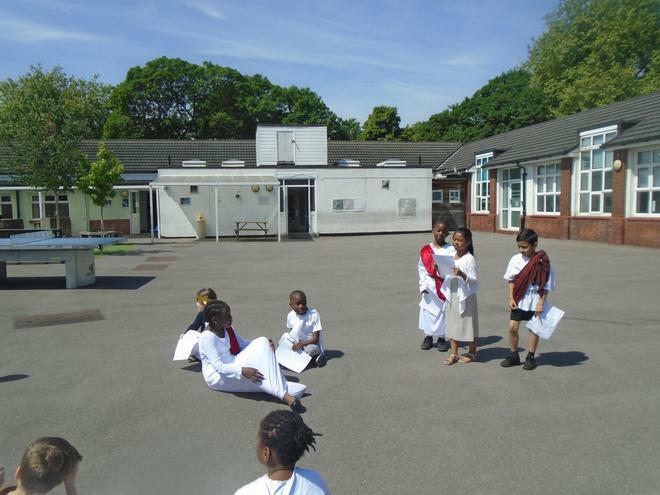 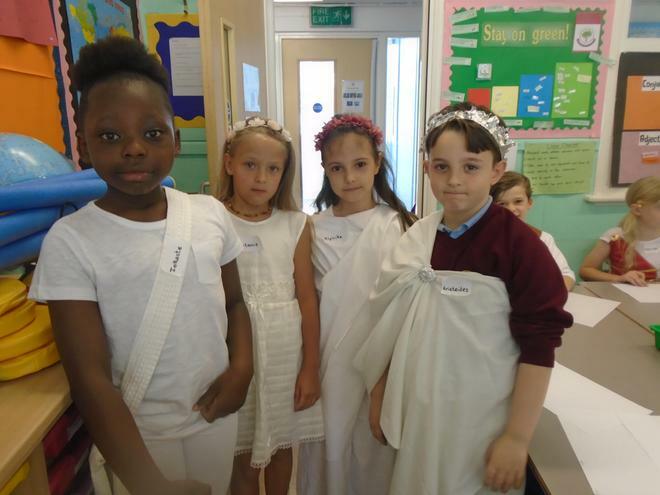 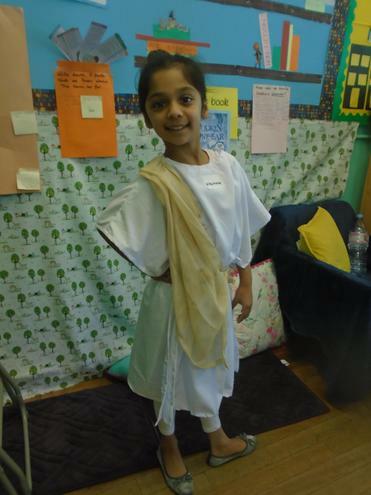 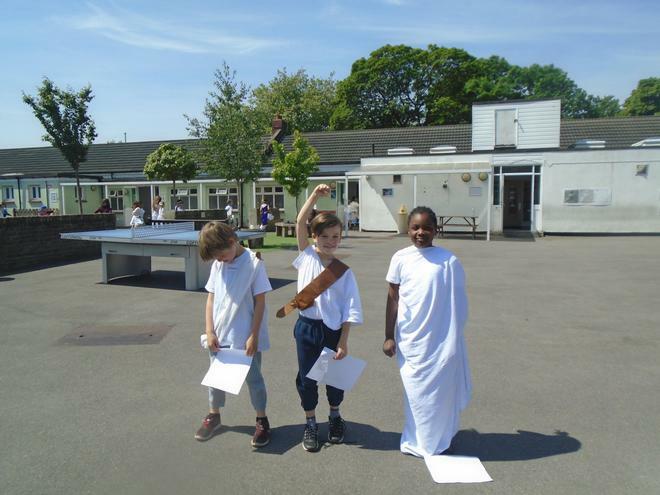 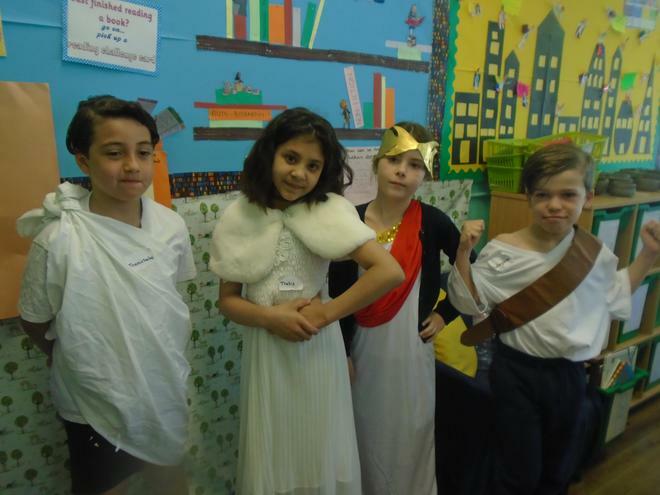 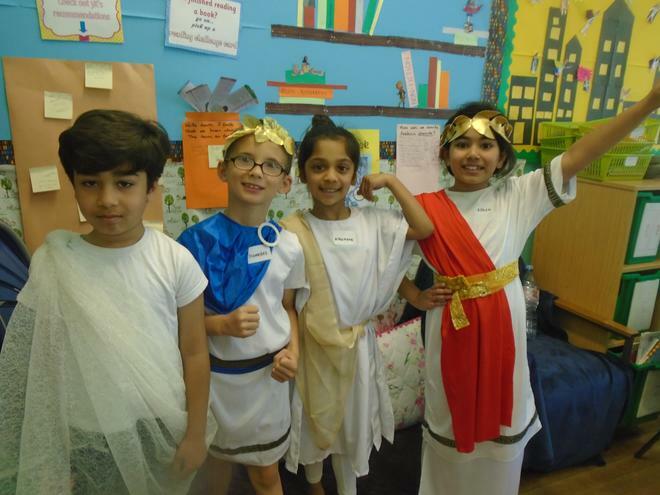 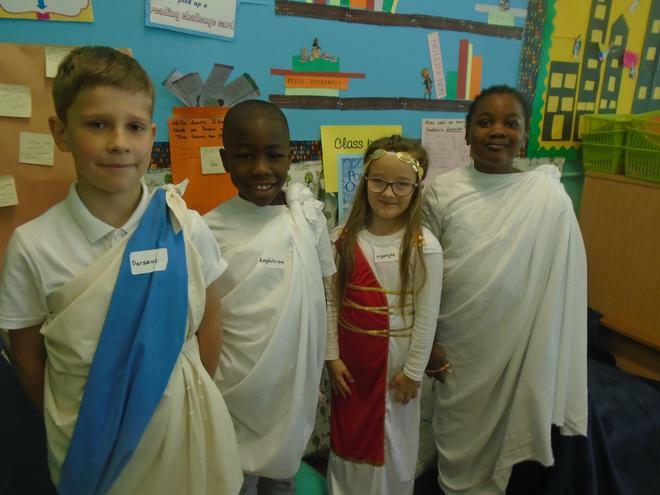 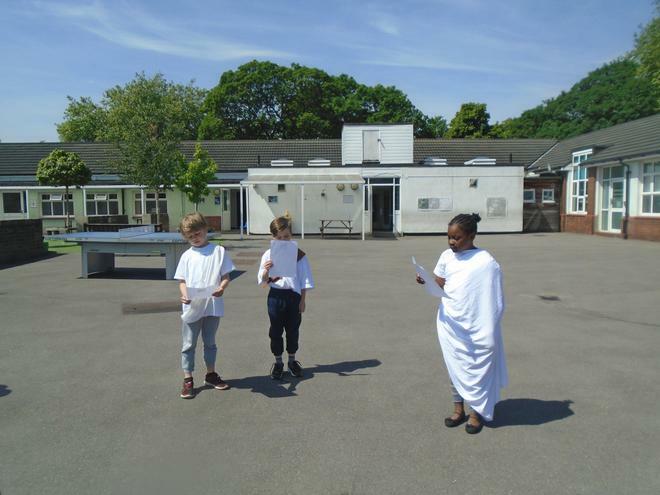 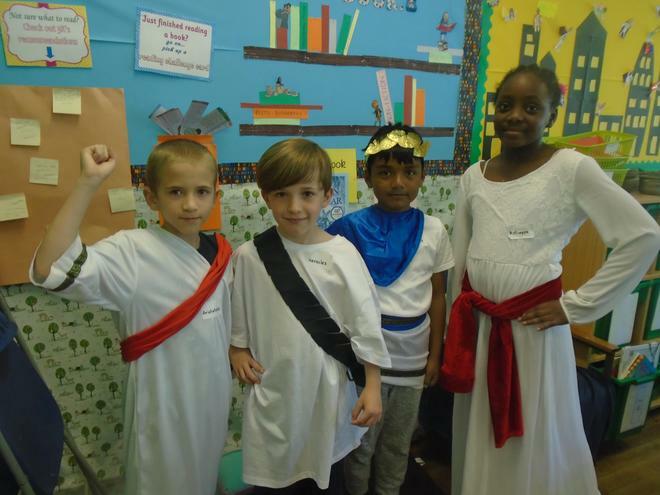 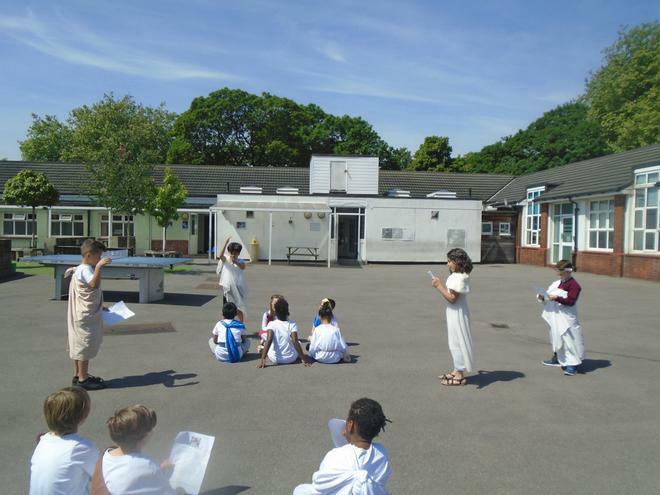 In History we have been learning about Ancient Greece. 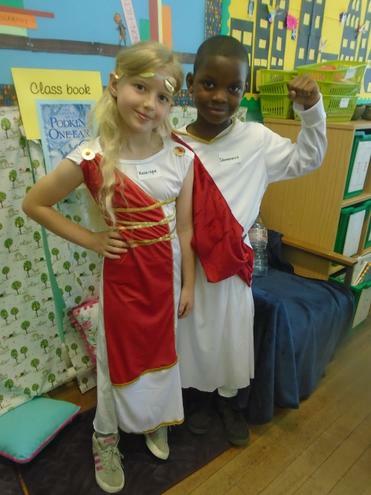 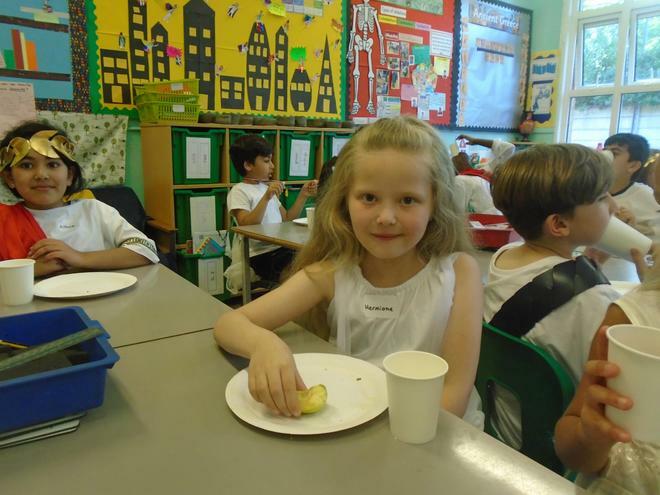 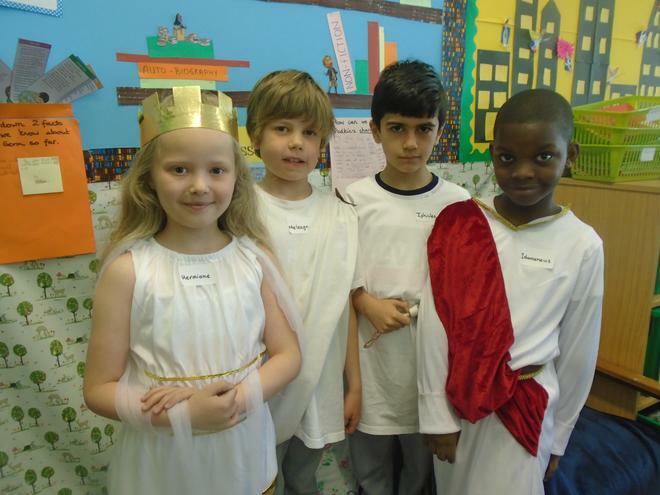 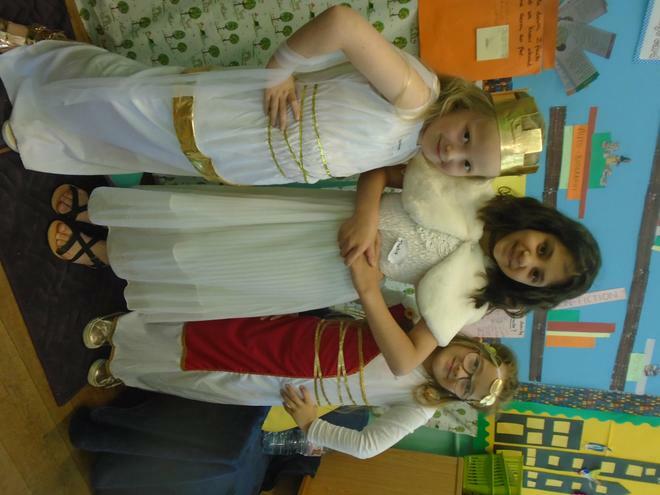 We have learned about Greek Gods and Goddesses, Greek states and Greek Art. 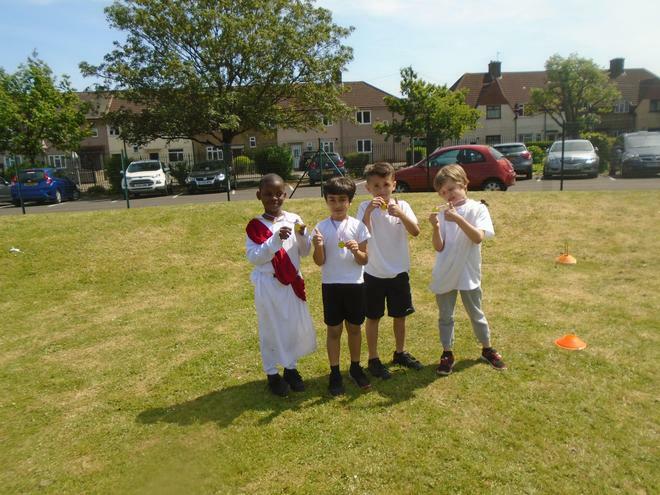 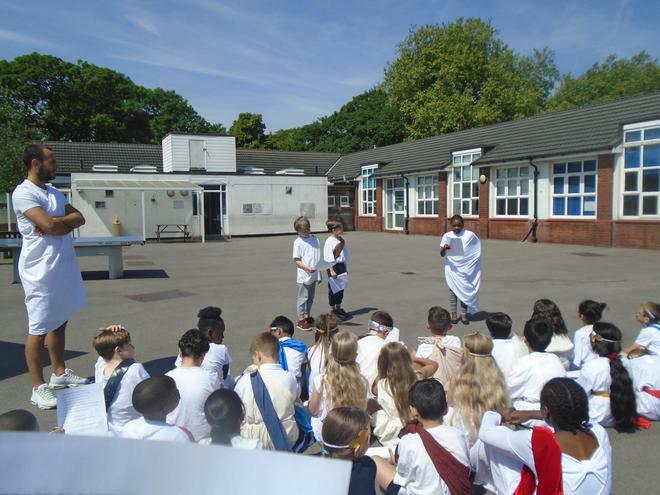 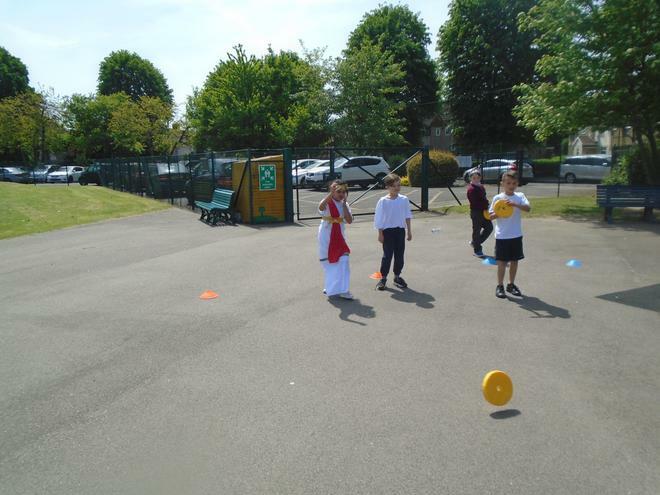 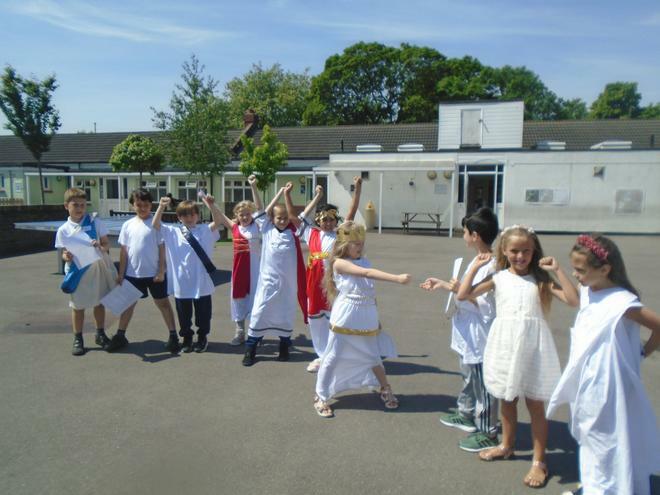 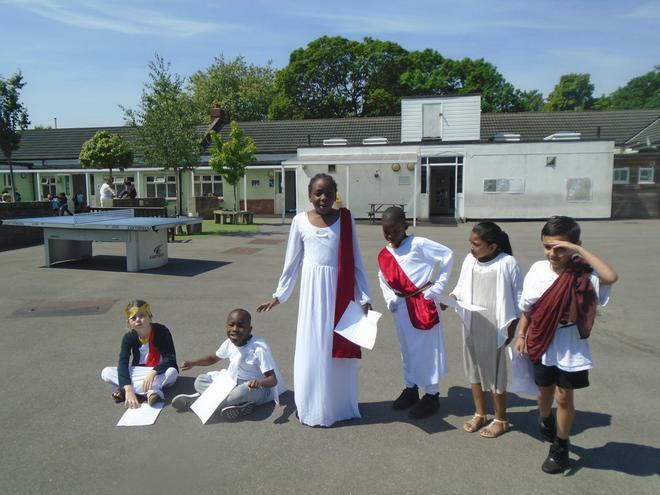 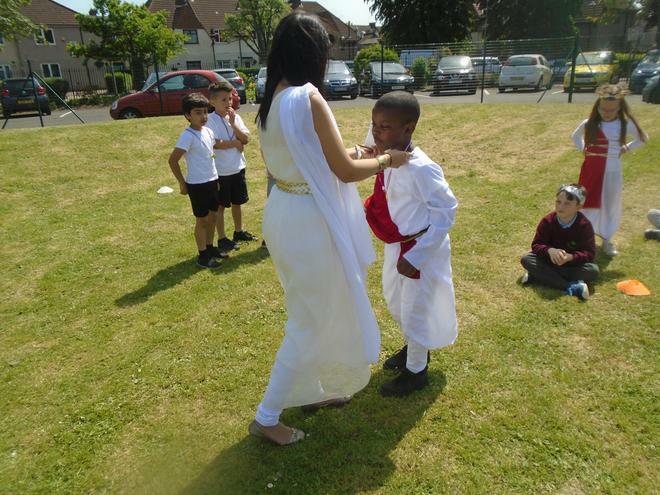 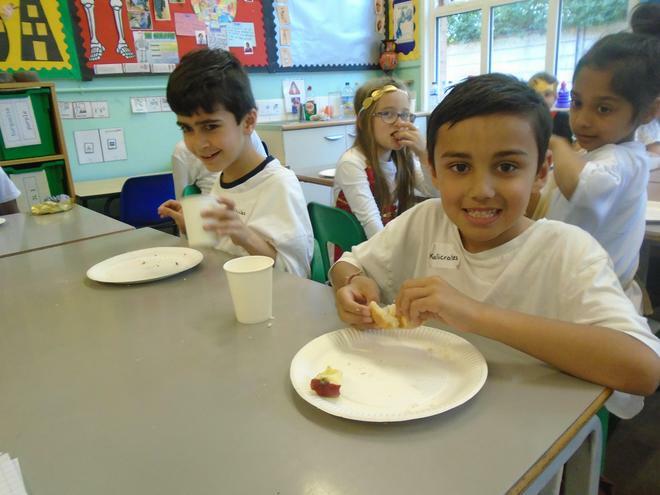 We even had our own Greek day! 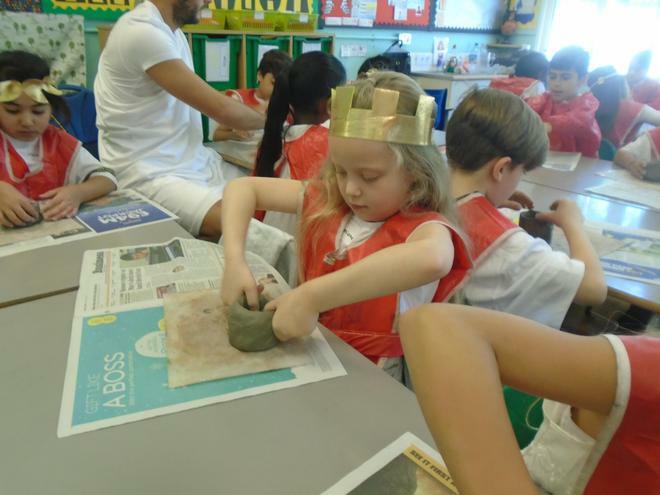 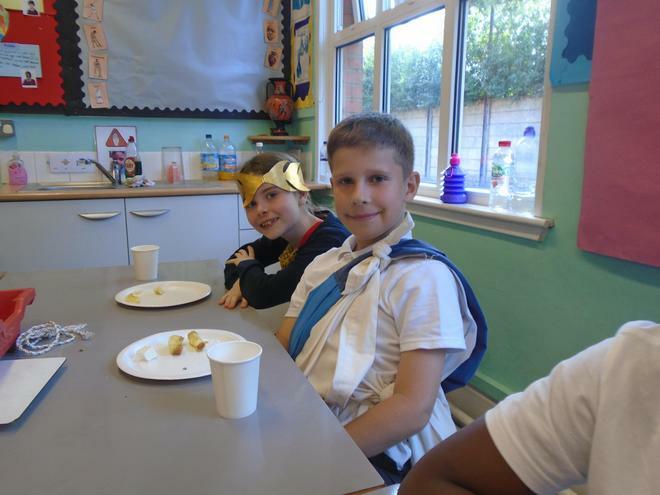 On this day we dressed up, made clay pots, listened to Greek myths and acted one out, and even had a Greek banquet! 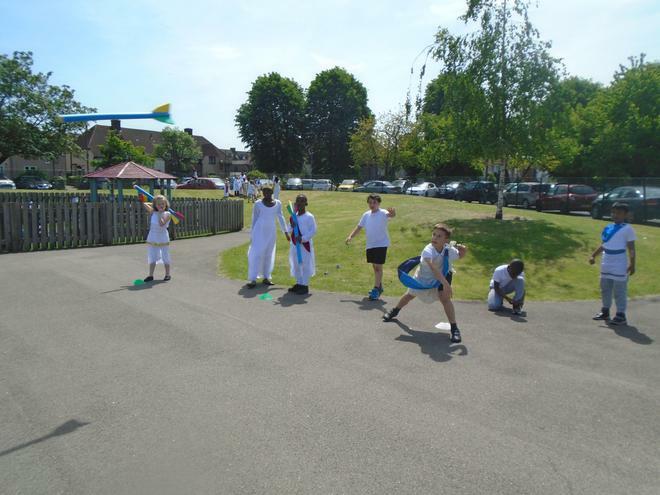 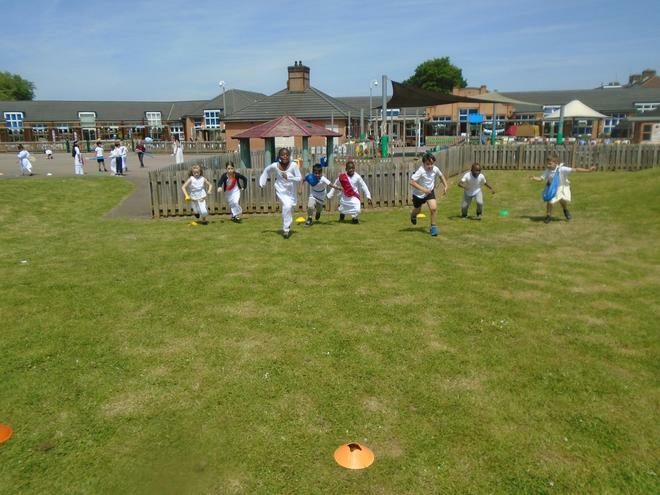 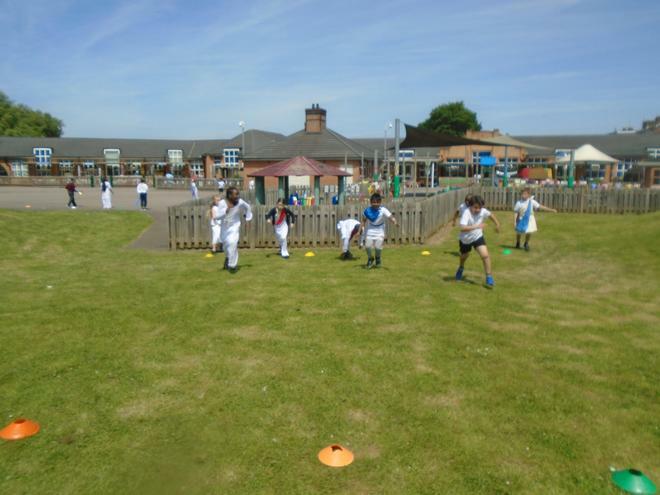 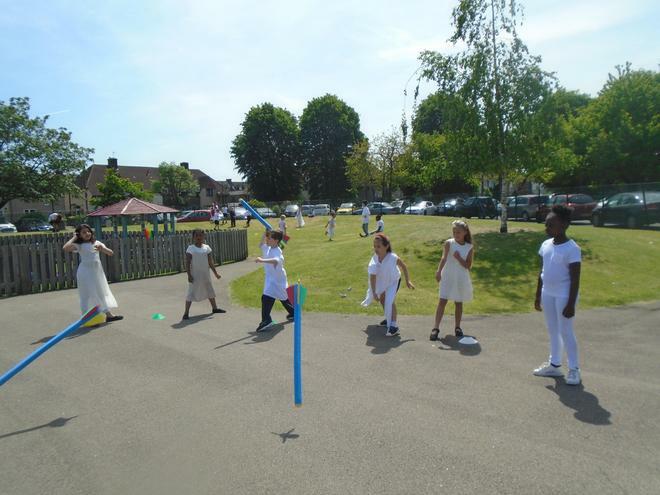 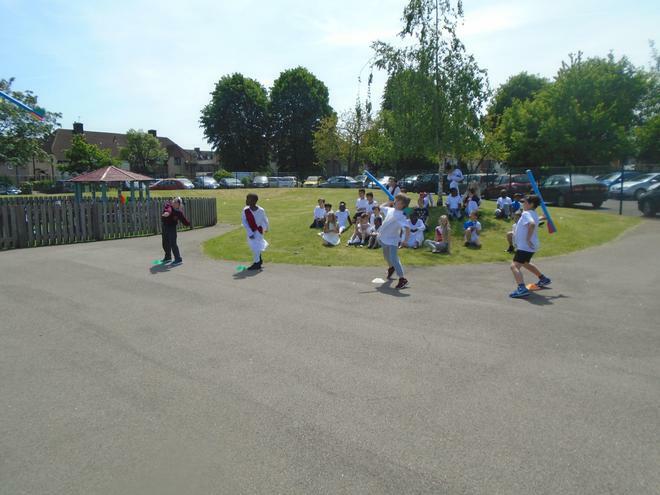 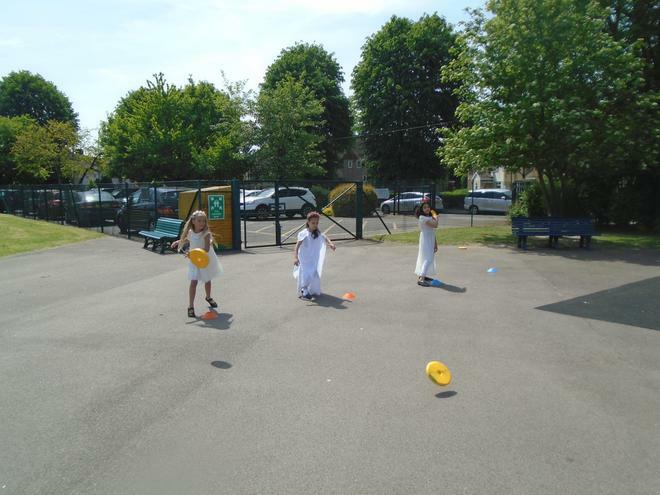 In the afternoon we also had a mini Greek Olympics, where we did races, javelin, discus and long jump.